Indian Intelligence Test Scholarship OMR SHEET :- Anybody can give Indian Intelligence Test Papers under Eligibility Criteria of Class 5th to 12th Students. 1.Indian Intelligence Test Papers will help to improve your knowledge and Skill, so that you can understand current pattern of giving exam in Entrance or Government. 2.Indian Intelligent Test Exam Paper held in Two Parts First is Multiple Indian Intelligence Test and Second one is Aptitude Test. Indian Intelligence Test OMR Sheet:- Students have to solve through marking Circle in OMR Answer sheet of Indian Intelligence Test. 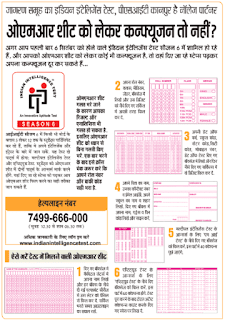 In Below Latest Dainik Jagran Paper of Indian Intelligence Test you can understand to fill OMR sheet with skills. Scholarship OMR SHEET:- if you do wrong attempt while filling OMR SHEET in name or answer the question than it may be effect your result + wrong analysis of written exam papers that can only available in as OMR SHEET. That is why relax your mind and body and ask somebody or teacher to help to fill OMR sheet in written exam. 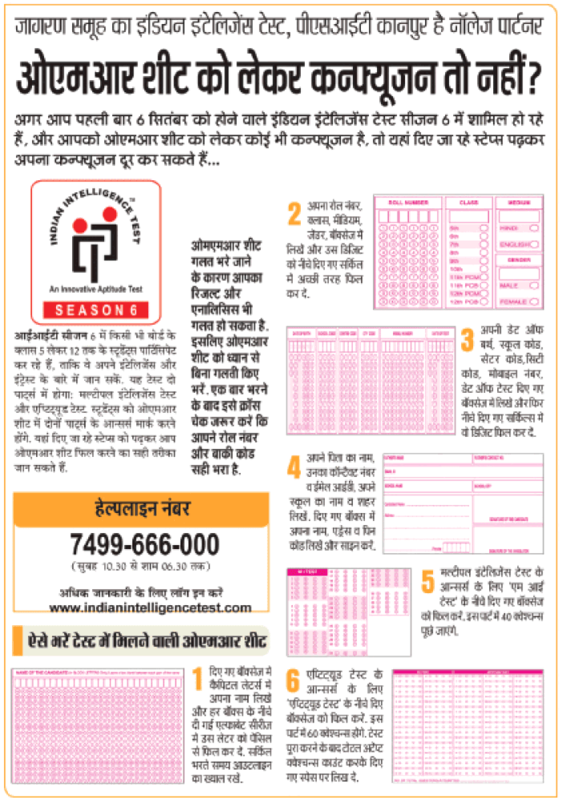 The Important one is Roll number filling process that can decide your result or it may be rejected on filling wrong numbers. If you unable to fill your Roll number, Father name and barcode, you can also forward it for teacher to be filled by them. a. Total 60 Question are made in Indian Intelligence Test Scholarship exam. b. what you have attempted question After completing written exam, you may write it one box below the OMR SHEET.